This is a truly fantastic 2 bedroom apartment that exudes luxury from the moment you enter the fabulous living space. 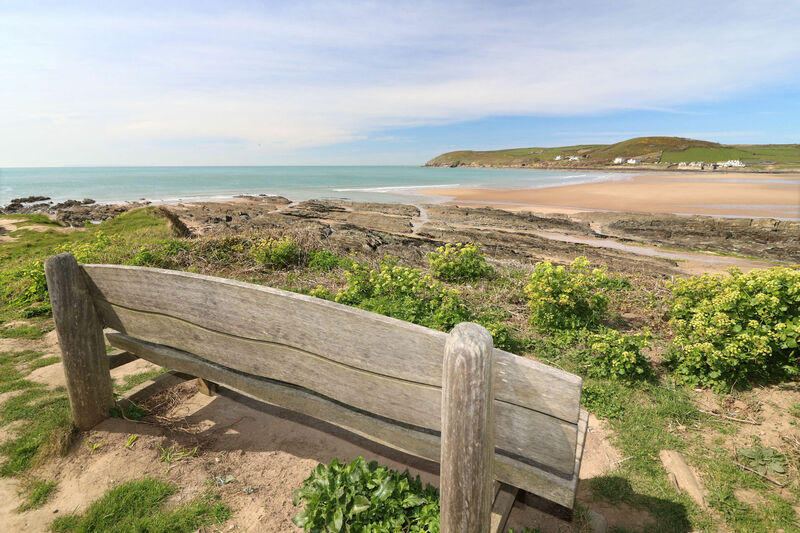 It is located within a secure development with video entry and gated parking, therefore making it the perfect hideaway for your much needed break in stunning North Devon. There is a superb open plan living/dining room with a bright, contemporary kitchen with bi-fold doors from both the living and dining area leading out to an extensive south facing terrace. This is the perfect sun trap during the Summer months and a real bonus feature! Guests have the choice of a large master bedroom with en-suite shower room or second bedroom with twin beds, plus a modern family bathroom. 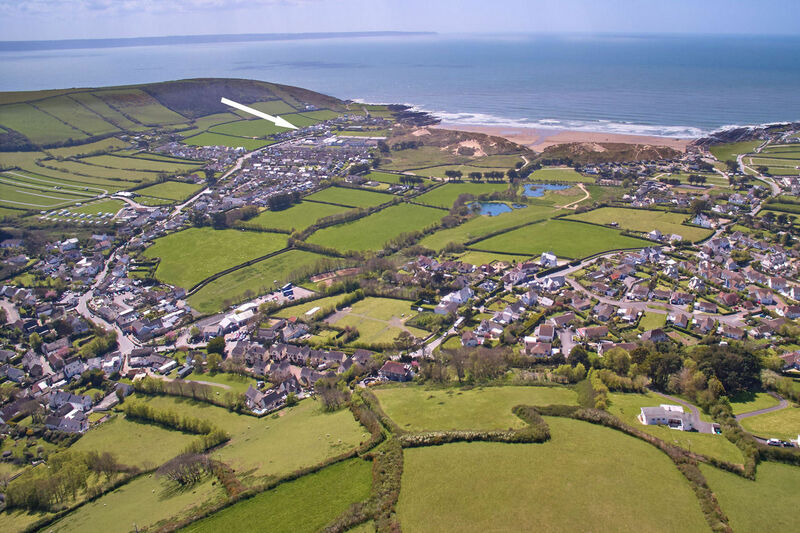 Located just a short walk to the popular surfing beach and the village centre, this idyllic apartment comes out on top every time. The open plan living and dining area of the property has been decorated in a fresh, modern style with decorative accessories adding subtle hints of coastal charm. It is a large, light and open room that overlooks the rear terrace and flows perfectly into the outdoor space via bi-fold doors. There is plenty of comfortable seating in the living area, with three lovely sofas providing you with optimum choice for unwinding. There is also a wall mounted Panasonic flat screen TV with freeview, BT Vision and a Blu Ray Player, should you wish to catch up with the daily news or simply relish the opportunity to watch something you enjoy in ultimate comfort. A sofa bed is available for use at an additional cost. The dining area has a good sized table and chairs seating 6, with two additional chairs included for those all-important family meals and holiday dinner parties. 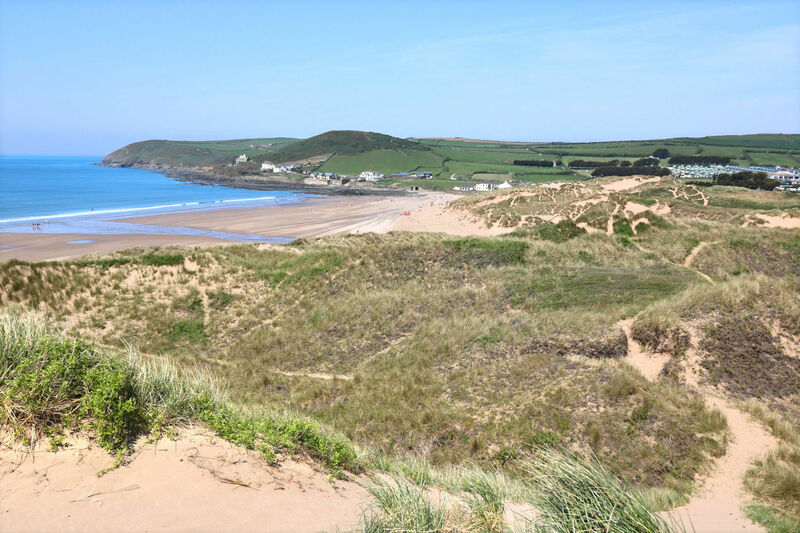 The apartment boasts an attractive, contemporary and bespoke kitchen with built in Neff appliances, double oven with 4 ring gas hob above, microwave, washing machine, dishwasher and fridge/freezer. Everything you could possibly need for making this wonderful property feel like a home from home throughout the duration of your stay. The large master suite, with light flooding bay window to the front, is a stunning room that is sure to induce a restful night's sleep. Spacious, tastefully decorated and with plenty of storage for your belongings, this charming sleeping space guarantees to allow only the best dreams of a picture perfect holiday. There is also the added benefit of a wall mounted flat screen TV and modern en suite with shower cubicle, hand basin and WC. Bedroom two comprises of two single beds, ample storage and has been decorated in a cool, airy style, effortlessly complimenting the rest of the property. There is also a wall mounted flat screen TV for you to indulge in a lazy morning should you wish. The modern family bathroom has an array of top quality fixtures and fittings, with shower, WC, hand basin and bath for an undisturbed, bubbly soak. 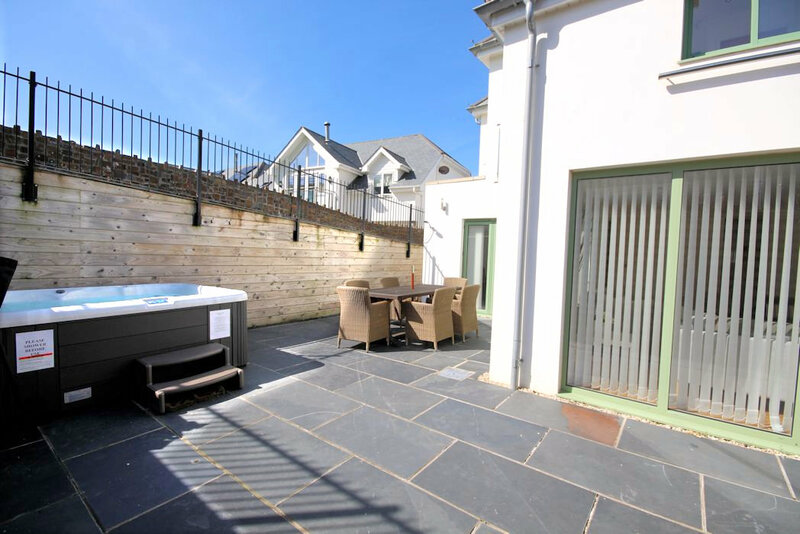 Outside of the apartment you will find a south facing terrace with fabulous hot tub (charges apply) that can be enjoyed all year round for a little extra cost, warming and soothing tired souls after busy days on the coast. You also have full use of an outdoor table and chairs, perfect for al fresco dining or morning coffees! 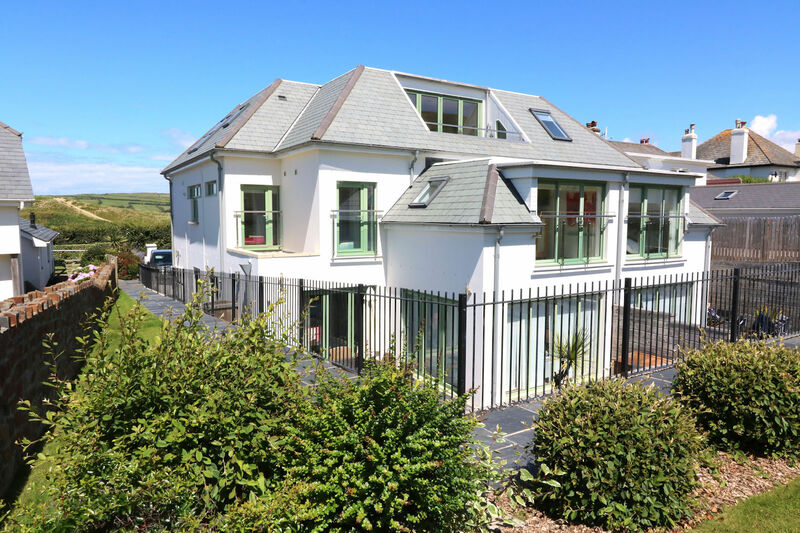 As previously mentioned, the apartment has secure gated parking for one vehicle plus visitors spaces and is sure to leave you with the very best memories of a luxury coastal lifestyle. Take a look around the property with our 3D video tour and visualise the possibility of your best holiday yet! Restricted mobility friendly. Please contact us for more information. This apartment is on the ground floor, although please note that there are steps a few steps leading down to the main building. We have thoroughly enjoyed our time in this apartment and would certainly recommend to our friends & family. 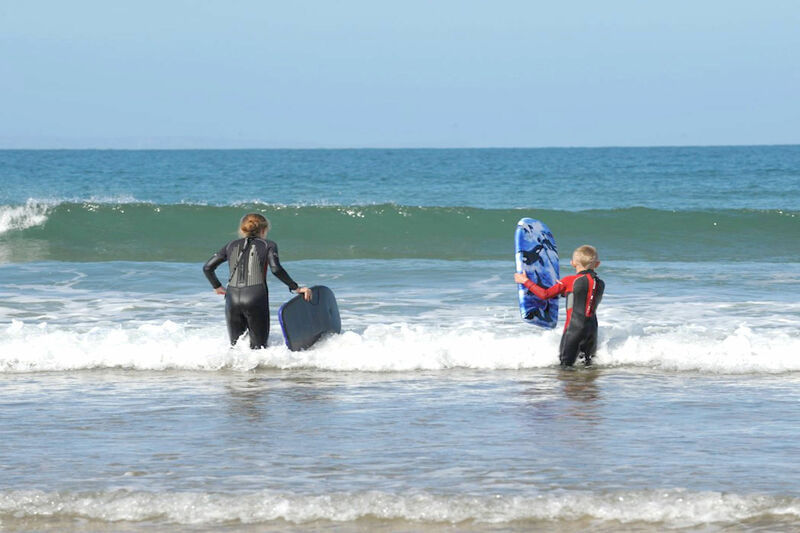 It is in a great location with the beach and the village and would love to come again. Booked here on a whim at New Year and then panicked that there weren’t any recent reviews but we needn’t have worried as the apartment exceeded our expectations! It’s well laid out and very well equipped - good quality cutlery and all kitchen equipment you could ever need. Dishwasher tabs, bin bag, kitchen roll, tea towels, milk, tea, coffee and fudge all provided and it was clean as a whistle (not sure how they get rid of all the sand!) on our arrival. The beds are really comfy and we all had the best nights sleep we’ve had while away. The only things we weren’t so keen on were the lack of privacy in the hot tub (but this might not be an issues for others) although it was great to have the option of booking the hot tub, and a bit of thudding and noise could be heard from the upstairs apartment occasionally but this wasn’t totally unexpected due to the fact the building is made up of apartments - this wouldn’t put us off returning though. We have thoroughly enjoyed our stay and are already looking at returning - I wonder if other guests want to keep this place a secret so it doesn’t get too booked up as can’t understand why there aren’t any more reviews otherwise!